You are here: Home / Statements / 2011 / May Day 2011: For Jobs, Freedom, Peace and Saving the Natural Environment – Genuine Socialism! May Day 2011: For Jobs, Freedom, Peace and Saving the Natural Environment – Genuine Socialism! Dear colleagues, In many factories and plants, exploitation and speed up are becoming more and more unbearable: increased and faster production with fewer people, overtime, shift models hostile to the family, extension of mini-jobs and agency work. Mass lay-offs at Opel and Conti have been announced. Under the slogan that your own company must “come out of the crisis as the winner”, the young and the old, workforces at different locations, unemployed and working people across borders are being played off against each other. While poverty and hunger are rising worldwide, 1,210 billionaires have even increased their fortunes in the midst of the crisis to 4.5 trillion Euros. With the reactor catastrophe in Japan the fundamental fiction of the “remaining risk”of nuclear energy collapses. The greed for profits is endangering millions of lives. Empty promises of the government and the energy monopolies to shut down nuclear power plants in a number of years play Russian roulette with the threat of a further nuclear catastrophe. First Afghanistan and Iraq – now Libya and the Ivory Coast - is the military intervention of the imperialists to secure the “resources” in these countries supposed to become the standard in the future? 27 trillion US dollars were pumped into the banks and corporations in the first years of the crisis 2008/2009. The result is the threatening financial collapse of entire states. At the end of March, a new 700 billion Euro-pact for curtailing the Euro-crisis was passed in Brussels. Crisis management failed a long time ago. Now the EU wants to put social benefits on the blacklist and cut wages in the public sector in all of Europe. The goal is to secure the deposits of the banks. Global capitalism is being caught up more comprehensively and deeply in crises which it cannot solve. Far from it,it is increasing the problems of humanity to the extent that they are threatening human existence. At the same time, a turning-point is appearing on the horizon: the dawn of the international socialist revolution. Capitalism’s esteem is reaching a low in the entire world. With a cannonade of anticommunism the ruling powers are therefore trying to defame and exclude all those who are selflessly fighting for a society freed from exploitation and oppression and for a revolutionary socialist alternative. The MLPD is proud that May Day as an international day of struggle and a holiday of the working class has its foundations in a resolution of the formerly revolutionary 2nd Socialist International. Our fathers, mothers, grandparents and great-grandparents gained this day in more than 120 years of struggle against all kinds of resistance – against suppression by state power, against attempts to revile it because of its socialist roots, but also against the attempts of social democracy to turn it into harmless family celebrations or SPD election rallies and so violate its ueberparteilich, non-party affiliated character. For the first time, this May Day is also a joint international day of struggle of the ICOR, which was founded in October 2010. The MLPD is proud to be a member of the ICOR (“International Coordination of Revolutionary Parties and Organizations”) with today 44 members from more than 30 countries. Only through the coordination and revolutionization of the struggles in the different countries can the working-class movement, allied with all those who are oppressed, become a power superior to imperialism. In the beginning protest and resistance of the Japanese masses. 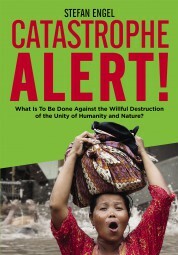 They are facing a devastating nuclear catastrophe after an earthquake and a tsunami. Our whole sympathy and solidarity is theirs. We promote a worldwide coordinated active front of resistance for the immediate shutdown of all nuclear power stations. In the resistance of the masses in Afghanistan, Iraq, Libya and all countries against imperialist aggression. Liberation from exploitation and oppression under the shield of the imperialists is impossible! In the courageous democratic uprising movements in Northern Africa shaking the power structure of the imperialist great powers with the overthrow of tyrants. In the workforces and departments fighting against the exploitation offensive in their daily running battle. Let us fight together corporation-wide, sector-wide and across borders. In the mass protests and strikes in Europe against the shifting of the burdens of the crisis onto the backs of the workers and the broad masses. Let us increase our forces – onward to the working-class offensive. The best prerequisites are given for the united socialist states of the world: the creative powers of the toiling masses can bring about enormous progress in production and work productivity in the framework of socialist planning without exploitation, competition and obligation for maximum profit. Not surplus value and accumulation of capital will be in the focus any more, but the satisfaction of the needs of humankind in unity with nature. Strengthen the revolutionary workers’ party MLPD and its youth league Rebell. On to the streets on May Day! The workers will be demonstrating and striking for their demands worldwide on this day. Participate in the May Day demonstrations and rallies. Immediate shutdown of all nuclear power stations worldwide at the expense of those who run them! For the immediate and unrestricted course for 100 percent environmentally benign, regenerative energies! For the immediate stop of all military actions of NATO against Libya and elsewhere! Withdrawal of all troops from Afghanistan! Federal army out of foreign countries! Struggle against the shifting of the crisis burdens! For the thirty-hour workweek with full wage compensation! Fight speedup in the factories! For higher wages and salaries! For full legal right to strike in all matters! Solidarity with the democratic people’s uprisings and struggles in the Mediterranean area! For the liberation of woman! International revolution for genuine socialism!